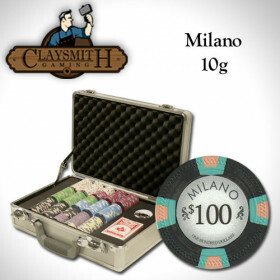 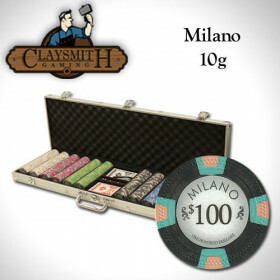 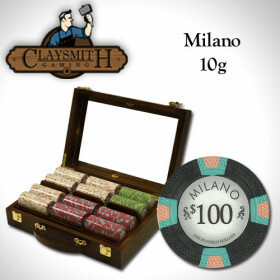 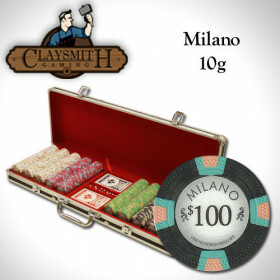 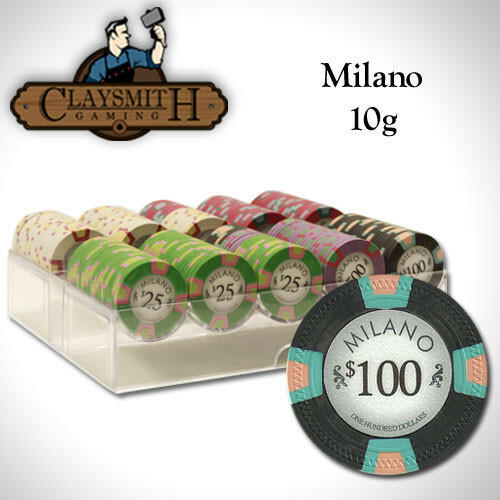 Start building the best set of chips in town with this 200pc Milano poker chip set from Claysmith Gaming. 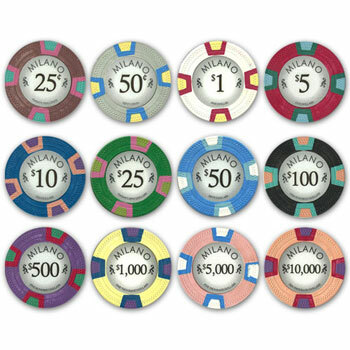 These chips are some of the highest quality poker chips available for home casino use. 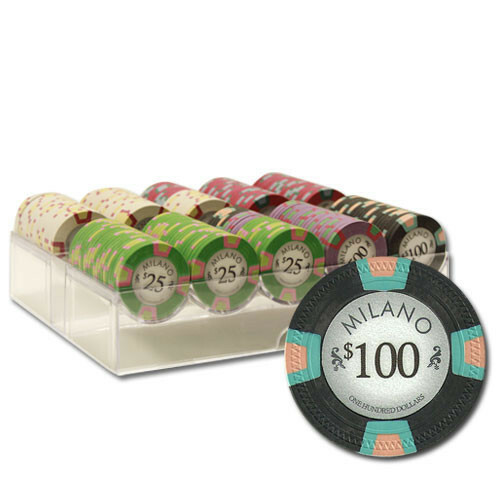 The set includes a handy acrylic chip tray that holds 200 chips and is a great way to build out a professional quality poker chip set over time. 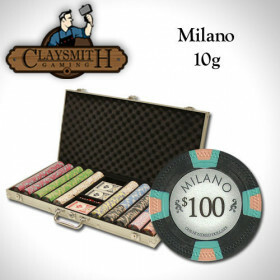 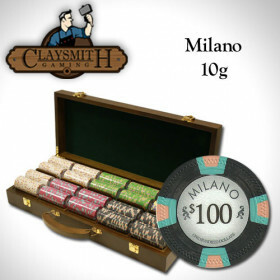 200 Claysmith Milano clay composite poker chips. 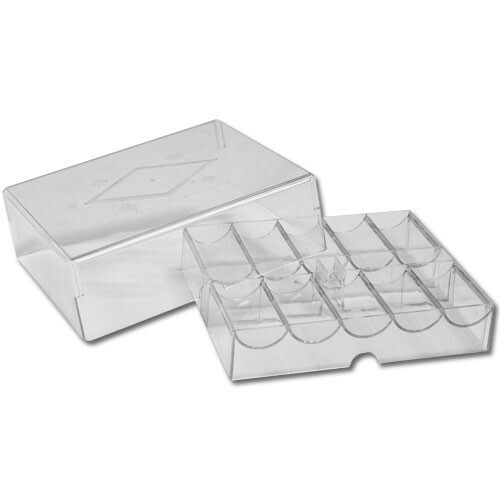 Perfect for a small starter set, or for a few extra chips on an existing set, this 200pc acrylic tray will keep your chips neat, clean and organized. 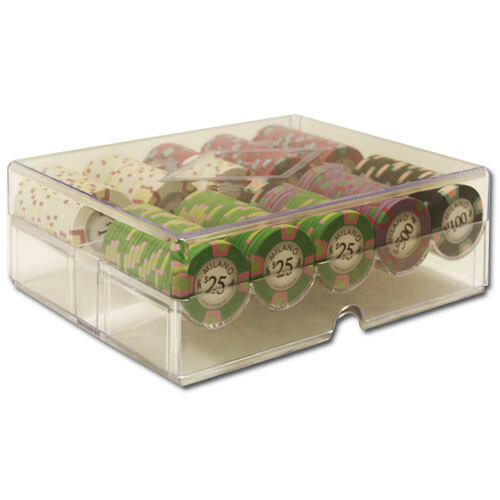 It's small enough to be portable and makes a great "bank" for the table. 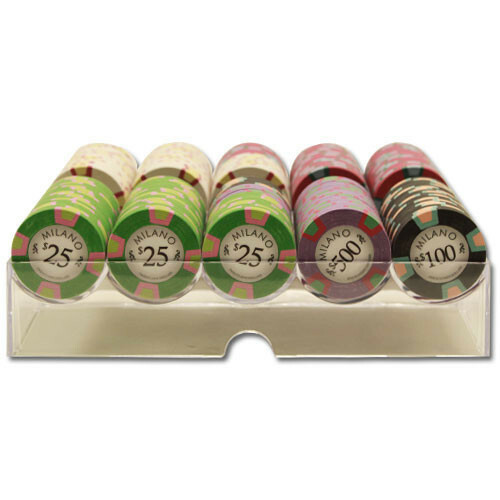 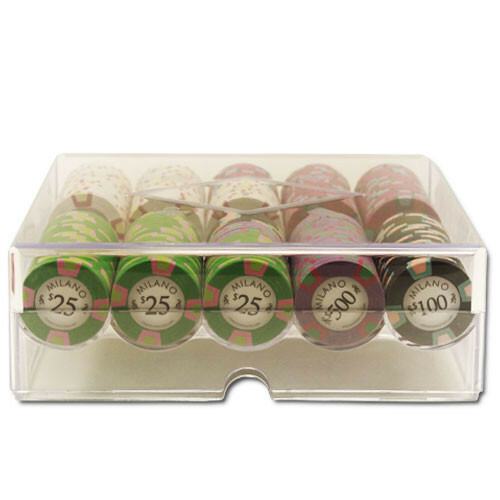 The acrylic poker chip tray holds 200 chips. 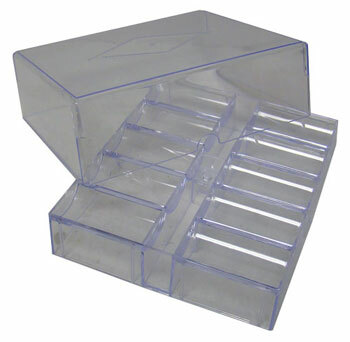 It has 10 rows that hold 20 chips each and includes an acrylic lid to keep your chips dry and secure.